Based in the heart of North Staffordshire, the hospital serves a population of over half a million patients around the areas of Newcastle-Under-Lyme, Stoke-On-Trent and the Staffordshire Moorlands. Part of The NHS Trust, the hospital currently serves over two sites; The Royal Infirmary and the City General. 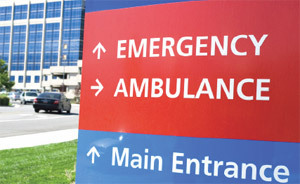 Both sites provide an extensive portfolio of emergency, general and specialist hospital services. Within the hospital, the General Services Department have many responsibilities including the management and security of the various keys used within the hospital. The hospital needed a solution that would provide greater key control across departments and wards along with key reporting facilities. 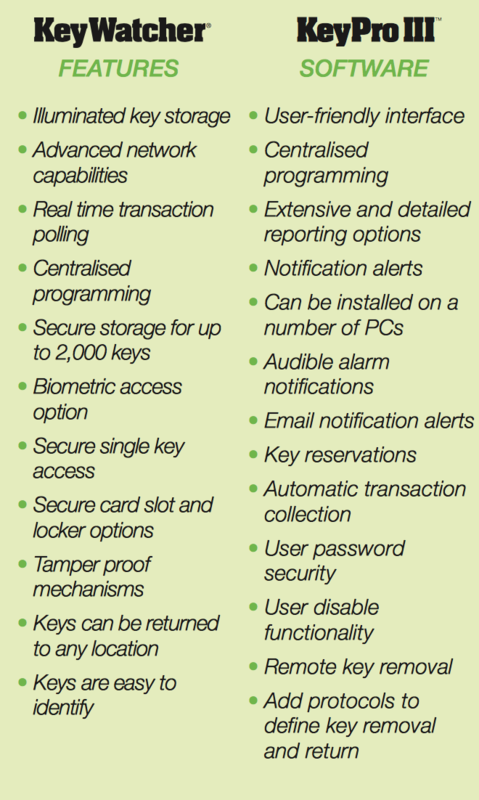 Within both sites there are thousands of keys in operation that require monitoring and strong security. Across both sites the General Services Department had issues with staff waiting around for keys to be issued out of hours. The exact whereabouts of keys was also difficult to manage and control as there was a lack of visibility about which member of staff had what key. Lost or stolen keys also proved problematic to the hospital as they were difficult to trace. Finally, the solution had to be delivered within a defined budget and was to provide strong reporting facilities for every key. When faced with the challenges of the hospital, Morse Watchman recommended and introduced the KeyWatcher® Key Control System. The KeyWatcher® is a custom-tailored solution designed to record the access history of each key, including user, date and time of checkout and return. In order to release an assigned key, each user needs an individual authorisation code. By having individual authorisation codes, the risk of a key being misplaced is greatly reduced. The risk of unauthorised people removing keys is completely eradicated. The KeyWatcher® comes with its unique KeyPro® Software. This user-friendly PC application delivers real time information concerning the whereabouts and history of any key for the KeyWatcher® system. Activity reports are easily produced that can trace a keys’ movements by date and time, authorisation code or biometric access data. Constructed in rugged metal the slimline system eliminates the need for outdated lock boxes, messy key identification tabs and unreliable key recording manuals and manual logs. The KeyWatcher® Key Control System, complete with fingerprint access control options is now used across both sites of the hospital. A completely new system has been installed in the Royal Infirmary and an old KeyWatcher® system has been updated at the City General site. Both systems are now fully functional at each site. Teams now have complete visibility into the whereabouts of any key and can track usage by authorised people at any given time. Staff are assigned various levels of access to the keys which helps to maintain effective key control and guard against carelessness or oversight. Keys are now controlled 24 hours a day, 7 days a week which has meant time is no longer wasted with people waiting. The KeyPro® Software is used regularly by the General Services Department to produce reports concerning usability and any security alerts. The new KeyWatcher® Key Control System, has meant that the hospital teams have been able to work much smarter and faster as if a key is overdue or missing, the KeyPro® Software will notify the relevant manager immediately. As the system only releases keys to authorised people, the risk of keys being lost or taken by an unauthorised person is reduced. Finally, as the KeyPro® Software produces detailed reports on the KeyWatcher® system, a full audit trail is avaliable at the touch of a button saving valuable time and resources.